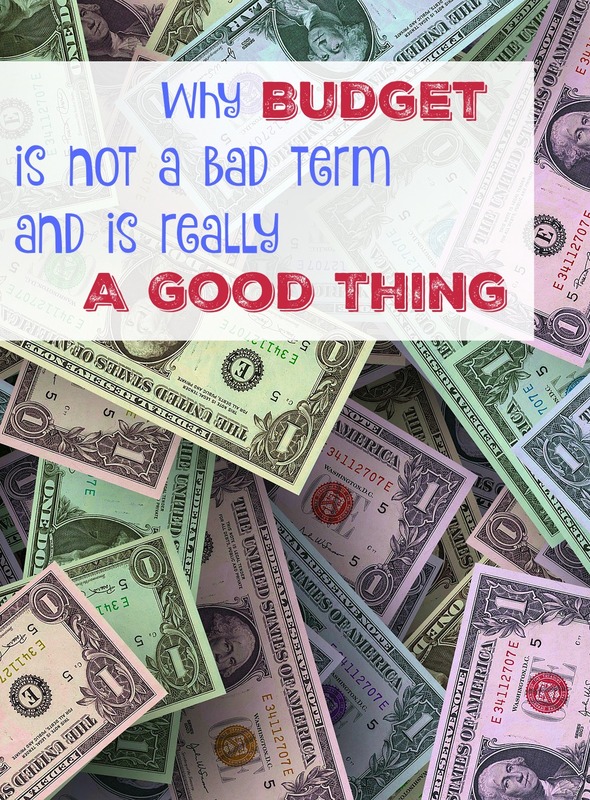 Books, Bargains, Blessings: A Budget is NOT a Bad Thing -- In Fact it is GOOD! A Budget is NOT a Bad Thing -- In Fact it is GOOD! I was scrolling through Facebook and saw someone mention a budget. To my surprise, every response was negative. I "learned" that having a budget means you can't buy your kids something they want, and you have to eat Ramen. My response was "Being on a budget means you can afford the extras without feeling guilty because you have been careful with your money in other areas." Even after my response there were still negative comments about budgeting. But it's not something that means you are poor. Did you know that big companies and rich people budget? It is about knowing where your money is going. It's difficult for me to budget because I am a blogger and sell on eBay, so my income varies from month to month, so I have found a style of money management that works for me, but believe me, life would be easier if I could set down and know what was coming in and where it was going. In a good budget, you plan for expenses, savings, and splurges. Jessi Fearon wrote a great post about how granite countertops were in her budget. Are granite countertops important to me? No, so I won't save for them. What is important to me right now is we need a new furnace. That's less glamorous than many things I could be saving for, but we had a rotten floor in the kitchen last year and decided to redo the kitchen then, and I couldn't be happier with how it turned out. Right now, if I didn't have home repairs to think about, I would put a travel fund in my budget. I have dear friends who are cross cultural workers in Russia. In fact, four of the five of them were in our wedding last year, and the only reason the one attended and didn't participate is junior high boys just kind of endure weddings. I would love to take a trip to visit them. But is a trip overseas and granite countertops something you should BUDGET for? YES! Absolutely! It might mean working extra to afford these things. Or it might mean for me that I have to cut down on my Diet Pepsi habit. But I know where the money is going and it motivates me. In fact, I love numbers, charts, and graphs, and thermometer" chart of how much we have in emergency savings and how much until we reach our goal. have hanging on my office wall a "
Budgets just mean that you know where you money comes in from (for most people it's your job and you know how much to expect each month.) You know where your money is going. Even if you decide that stopping at Starbucks daily is important to you, you can have Starbucks daily (if you can afford it) if you budget it in, just means there will be less money for savings or groceries. One of the best things you can do for yourself financially is learn that it is a GOOD thing to be on a budget. If you want more advice on this, I highly recommend the book The Total Money Makeover by Dave Ramsey. My husband and I read it prior to our marriage. I started saving for college when I was in Kindergarten. My husband never really did much saving. I think reading it together was one of the best things we could have done for our marriage, and thankfully we have very few disagreements about money because we sat down and worked through our goals before we got married. We never know how much income to expect from me a month, but his income is regular. We know where our money goes, if our utilities increase (or decrease), and we have plans for extra after our expenses. It doesn't have to mean scrimping through the month looking forward to the next payday. Budget. Noun. Planning where your income comes from, and where it goes, down the the last dollar so that any excess you can put in savings or where it is important to you.